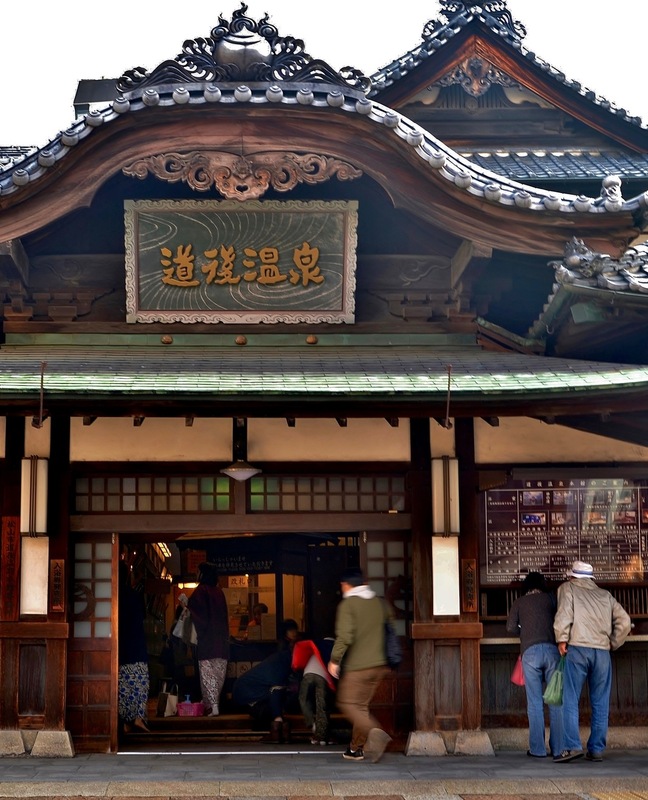 Today, the Japanese have an insatiable appetite for all things Edo. This goes deeper than the daily long lines outside the Edo-Tokyo Museum or the very popular historical dramas on TV every Sunday evening. Azby Brown, author of Just Enough: Lessons in Living Green from Traditional Japan, believes current anxieties about the state of the world are driving interest in the Edo experience. At the beginning of the Edo period, Brown argues, Japan faced ecological collapse from deforestation, erosion and watershed damage. New conservation practices were introduced in response to this crisis and to promote Satoyama landscapes. This brought about a sustainable interaction between nature and humans. [embedded content] Azby Brown explains the lessons of the Edo period for sustainable living today. This is supported by Conrad Totman, author of The Green Archipelago. Totman argues that the Edo government (Bakufu) responded to these ecological threats by introducing new technologies. Complemented by a combination of social and cultural value changes, this led to Edo becoming a sustainable city. 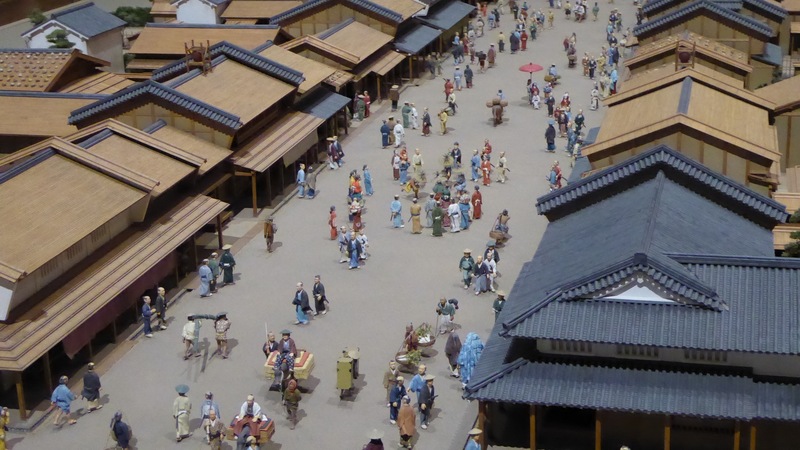 What lessons can growing, developing-country cities learn from Edo? With a population of 38 million, modern Tokyo is 13 million people larger than the world’s second-largest city, Delhi. While Tokyo’s population is predicted to decline slightly, Delhi’s is still growing and the two cities will be the same size in the next 15 years. In 1721, Edo was also the world’s largest metropolis with a population of around one million. The next-largest city was London with 630,000 people. London’s growth was limited, in part, because it couldn’t efficiently dispose of sewage. This problem wasn’t solved until the invention of Victorian sewerage pipes. Edo dealt with this problem by collecting and disposing of night soil. The intensity of Edo’s agriculture gave the city a crucial advantage. Rice farming required smaller plots of land than grain or animal husbandry, so it could be closely woven into the fabric of the city. This, in turn, reduced the effort and cost of transporting night soil. Agriculture also buffered flooding from typhoons, giving the city a clean and stable water supply. As for food, such was the primacy of urban agriculture, fruit and vegetables were named after the Edo suburbs known for producing them. The first lesson from Edo was therefore to develop and maintain a unique home-grown technological solution to urban life. In addition, efficiency was central to the Edo economy and daily life. Rather than have a bath in each house, co-operative bathing in a sento became an essential place for socialising, while saving on water and firewood for heating. Clothes were maintained and mended, ceramics repaired. Whole industries were built around recycling and resource recovery. The people of Edo understood the meaning of a zero-waste society well before the term was invented. Edo teaches us the value of looking carefully at planning solutions that are developed in a particular context. It also shows us that, for cities such as Delhi, West is not necessarily best. The second lesson relates to the ethical framework of the citizens of Edo. Their worldview was informed by an ethic of life and interaction. Brown suggests that the people of Edo understood the “big picture”. They recognised that they needed to run their city, economy and lives within the limits of the natural world. This is something most people struggle with today. We live as if we are free to ignore ecological limits and planetary boundaries. For most people today, a life lived within limits easily equates to impoverishment and austerity. This constrains our imagination of what it may be like to live in a constrained economy, as in Edo Japan. Edo was by no means a utopia. It had a rigid class structure of samurai, peasant farmer, artisan, merchant and untouchables. You were born into your position and could not move between classes. The samurai lived in gated communities and the average merchant or artisanal family lived in cramped conditions with few possessions. Yet, knowing your place in the community extended out to knowing your place in the city and the natural world. This was a key mechanism to help citizens understand the right thing to do and live an ethical life through codes of honour, loyalty and a sense of duty. While this might jar with our modern values, it raises the question of what rights, if any, we would be willing to give up. And what responsibilities would we be willing to accept for a truly sustainable future? The third and final lesson derives from a dystopian prediction of our ecological predicament. One of the most forceful advocates for reassessing Edo is the Japanese author Eisuke Ishikawa. In his 1998 book, 2050 is the Edo Period, he argues that Japan is undergoing a “slow crash”. The book traces the decline of Japan through the memories of an old man in 2050. Society has declined and aged. The economy has stagnated for decades. In 2050, according to Ishikawa, 99% of the population will be living rural lifestyles and the big cities of Tokyo, Nagoya and Osaka are derelict. In the West, this dystopian Japanese vision of the future is paralleled by James Howard Kunstler’s “long emergency” and his engaging novel, World Made by Hand. Kunstler depicts small-town US after the collapse of the global economy and modern society. It is a world where we have to live with less – no electricity, no running water, no health services, no government and so on. Interestingly, Kunstler writes about Japan in his blog and comments on the nation’s two-decade economic malaise, as the population shrank and its debt climbed. He suggests that all this is “getting to them [the Japanese] in a deep, major way” and “they perhaps secretly long to get back to something like an older traditional Japanese society” – the Edo era. The challenge that faces us now is to redesign our production and our consumption so that they share the virtues of their Edo-period counterparts, to link our sophisticated technical systems to the kind of mentality that those prescient forebears displayed. As the Japanese government promotes a “soft power” campaign of “Cool Japan”, it should embrace a larger and more nuanced view of Edo’s contribution to human progress.